Whether you are experiencing food that has been passed down from generation to generation or those first time recipes that sometimes can be a bit ‘hit or miss’- it’s most important to always remember that someone has taken the time to feed you and share their home, heart and soul. 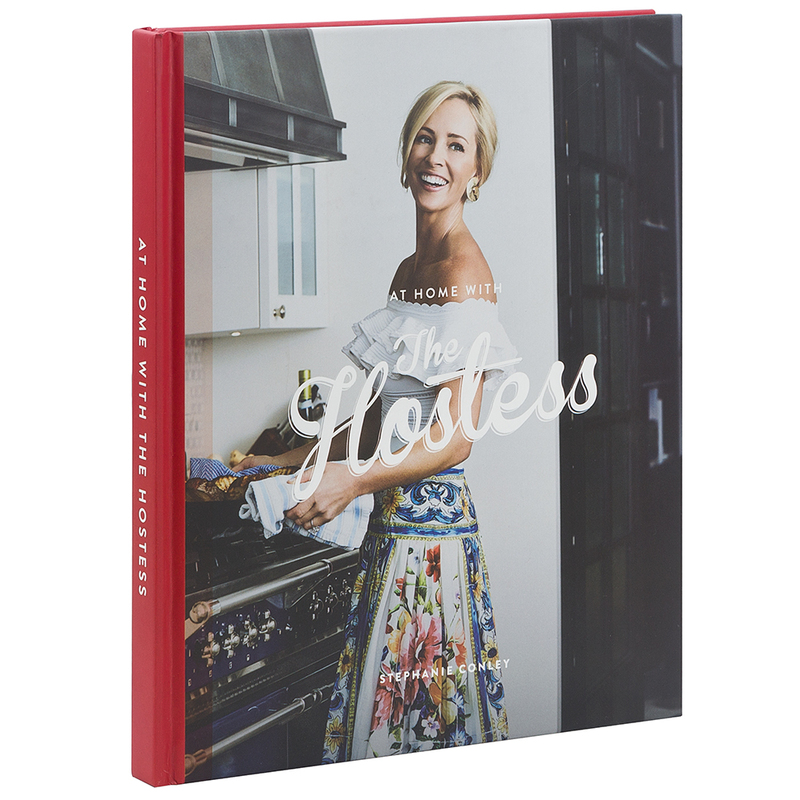 Inspired by her international travels and home life, former fashion designer Stephanie Conley has released At Home With The Hostess, a celebration of food and entertaining. Filled with over 150 recipes, this cookbook is filled with fantastic culinary ideas for sharing – from pea and feta frittatas in the morning to gazpacho with grilled prawns and tiramisu. Filled with over 150 recipes that are perfect for entertaining. Recipes are divided into chapters – Rise & Shine, Midday Feasting, Something In Between, A Little On The Side, After Dark and Something Sweet. Incredible photography throughout by Amanda Prior. Begins with an introduction penned by Conley. Includes pantry favourites and entertaining tips at the front of the book. Full index at the back of the book. Blank ruled pages at the back of the book for writing notes and important things to remember. Includes a satin ribbon bookmark. Dimensions: 23.5cm (l) x 28cm (h) x 1.8cm (w).